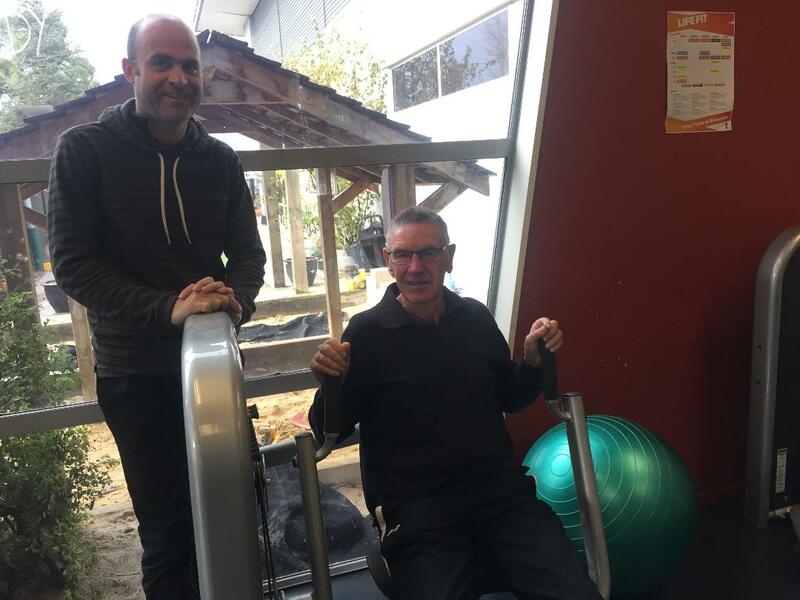 While some seniors consider 65 the top of the hill, Avonhead retiree Brian Clarkson has a different view – thanks to a Sport Canterbury accredited strength and balance programme provider. Each week Clarkson attends the YMCA Bishopdale Life Fit Circuit, which incorporates 20 different exercises in a friendly, supportive environment. In the past 20 years, the Burnside Bowls Club regular has had surgery on both rotator cuffs and two hip replacements – the most recent was only 12 months ago. However Clarkson claims that over the past 12 months of Life Fit Circuits, his fitness has returned to what it was two years ago. He recognises the importance of maintaining muscle mass, which deteriorates rapidly with age. He had always been an early riser, getting up at 6am for an hour’s walk before work. “However I found with that (walking), I wasn’t getting the flexibility, which the classes give. And through that building balance and strength. Paul Dunn, YMCA Health and Fitness Manager, agrees on the benefits that Life Fit Circuit offers. The Life Fit Circuit participants may be 70, or 80+, however the machines at each station let the participant choose their level of resistance. Dunn points out that the benefits go far beyond strength and balance, however. Balance is often a component of fitness that is overlooked when it comes to physical activity, however the New Zealand Ministry of Health recommends that older adults take part in balance-related training three times a week. From July 2016 to June 2017, Canterbury men aged 60+ submitted 8,404 new claims to ACC as a result of falls. Falling is not part of the aging process and can be avoided. One of the best ways to help prevent falls is to add exercises into your physical activity regime that include core and leg strengthening as well as balance.